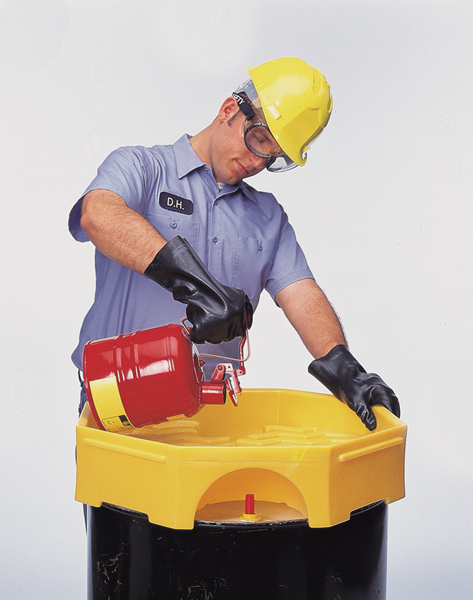 The Bung Access Ultra-Funnel is the only full, drum-top funnel which allows access to the 3/4" drum bung. Installation of our pop-up liquid level gauge in the 3/4" bung allows visual monitoring of waste level in the drum and helps you plan ahead for drum removal. It also eliminates the mess caused by overfilling!